SkyPASS - Polaris Sensor Technologies, Inc. 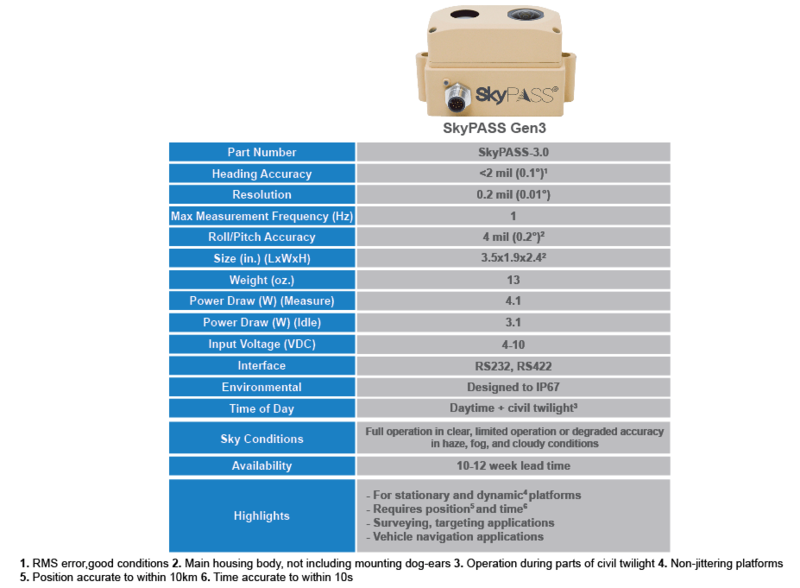 The Sky Polarization Azimuth Sensing System, SkyPASS, provides highly-accurate navigational heading in a low-power, low-cost, extremely small, form factor. The system is passive and well suited for any man or vehicle platform to provide mission-critical navigation localization accuracy regardless of GPS accessibility.